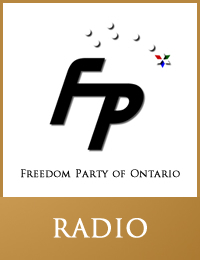 On May 30, 2014, the Andrew Lawton Show (AM980, London, Ontario) hosted a one-hour candidates debate for candidates in the riding of London North Centre, including Freedom Party candidate Salim Mansur, and the PC, NDP, and Liberal candidates. 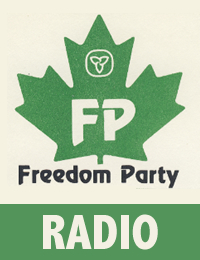 Citing a statistic and suggesting that a Canadian preference for television over print makes Canadians shallow, guest Gil Warren adds that such a situation leads people to support Nazis and…the Freedom Party of Ontario. His assault on those who advocate individual freedom and personal responsibility continues, as he calls Objectivist Ayn Rand a “fascist”. Metz puts a rest to that slander in short order with a to-the-point demonstration of the fact that Rand, in fact, was opposed to virtually everything that Hitler and his Nazis advocated. Warren proceeds to speak in dictator-like terms of the dangers of “allowing” people to have choice in education. 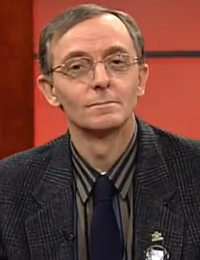 Two days before voting day in the Ontario election of 1990, Robert Metz – then leader of Freedom Party of Ontario – was the guest of the London, Ontario talk radio program Talkback (with host Anne Hutchison). With the exception of a call about land deals in London, most callers were interested in talking about health care. One caller recalled affordably buying health care insurance for $30 per month for a family of six in the years prior to 1969, when Ontario’s Progressive Conservative government banned private health care and instituted Ontario’s socialized health care monopoly. Another, defending Ontario’s socialist health care monopoly, called to say that each individual is his “brother’s keeper”. Another insinuated, falsely, that Metz and Freedom Party wanted a system akin to that in the United States. 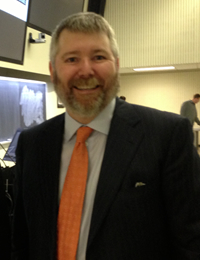 Openly opposing “univeral” health care, Metz’s reply was that the issues of health care and poverty are separate issues, and that Ontario residents should have a choice when it comes to paying for health care or helping the poor. Most commercials have been removed from this recording, but election commercials by the Progressive Conservative Party, the Ontario Medical Association, a union, and the New Democratic Party have not been removed from the recording. Pay particular attention to the fact that, even in 1990, even Ontario’s doctors were saying that the Ontario health care system was leaving people suffering – even dying – in the health care queues and under-service that necessarily has constantly plagued the Ontario government’s rationed (i.e., socialist) health care monopoly since its inception in 1969. 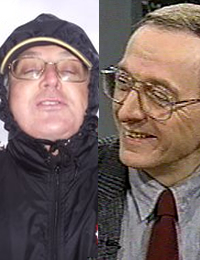 NOTE: This recording was reconstructed from two cassette recordings of the same broadcast. One of the cassettes (captured as tape-2012-060.1990-09-04.talk-back.1990-election.metz-as-guest.same-episode-as-tape-2012-013-but-better-recording.mp3) included no commercials (they had been skipped during the recording process), but the other (captured as tape-2012.013.mp3) had a couple of election commercials that originally made onto a cassette tape. During most of tape-2012.013.mp3, music can be heard playing as if in the background, and the signal tails off dramatically toward the end. However, the political commercials from that recording have been added to the other recording to create this reconstructed recording for archival purposes.